Do you hear the wedding bells ringing in the distance? 'Tis the season for dreamy, wintertime ceremonies, and if you are amongst one of the attendees of cold-weather nuptials, now's the time to prep your celebration look. A few things to keep in mind when piecing together your outfit? Don't reach for your trusty summer dress. Instead, pick elegant staples rendered in slightly heavier fabrics, such a wool or velvet. A few fail-proof pieces you can always turn to? A chic pantsuit, a velvet wrap dress, or a long-sleeve, satin jumpsuit. But your wedding-guest look isn't done there. You certainly won't be able to leave the house without an essential top layer—we're talking a warm, winter coat. And though it may seem like the cold-season staple is going to cover up the look you worked so hard on, there's a simple solution: Pick a style that complements your suit, dress, or jumpsuit. Ahead, see 10 coats that are perfect for a winter wedding. They're warm, chic, and can be worn long after the ceremony has ended. This one is simply stunning. Everyone's going to ask you about this coat. 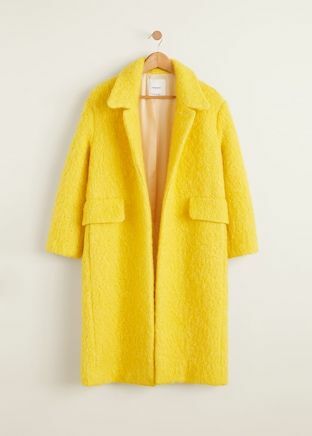 Brighten up a winter wedding with this yellow coat. If you're looking for an easy, elegant wool coat, this might just be a match. Pair this with a purple velvet jumpsuit. There's so much to love about this Bottega Veneta find. We totally picture Meghan Markle rocking this. A stunning, winter white coat perfect for the bride-to-be. 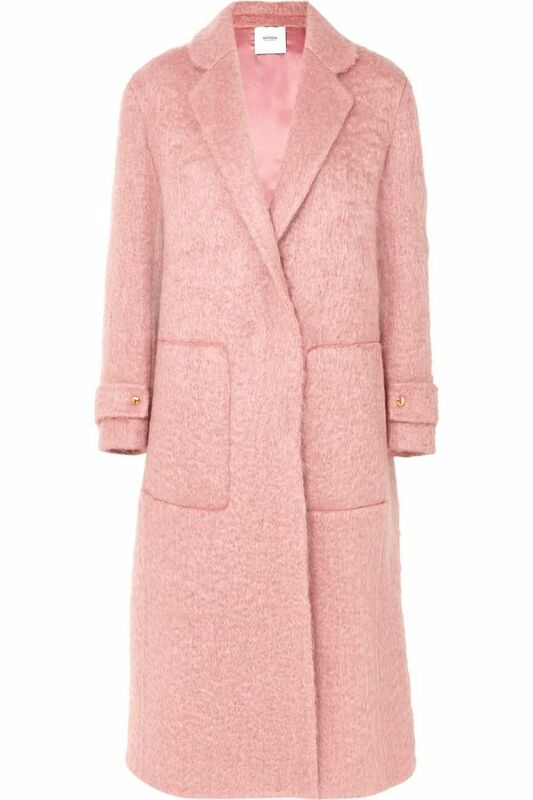 Go bold with this Instagram-famous coat. Next up, check out the best dress styles for a winter wedding.